The weather has been a challenge for most gardeners this year, a very hot dry spring followed by a wet cool spell and now it can’t quite work out what it’s doing! One thing that is certain is the early arrival of the late flowering perennials and my garden is a bloom with plants that don’t normally come into their own until September. 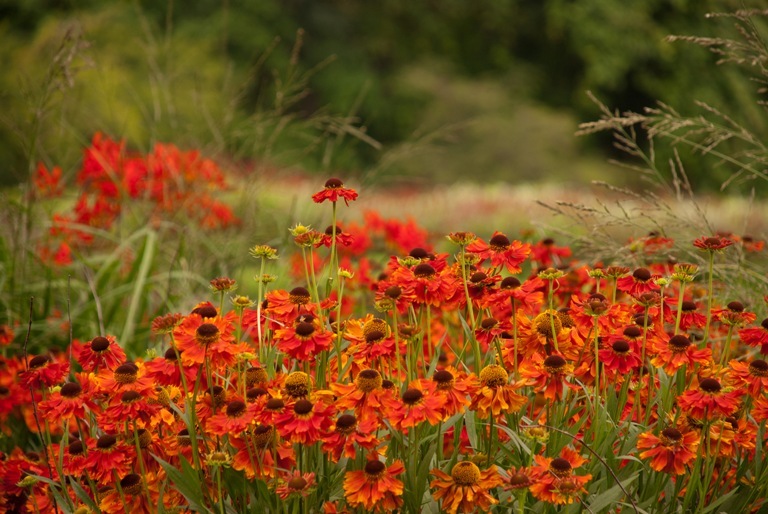 Helenium brighten up any border and if you’re not so keen on yellow, there are other varieties such as ‘Morheim Beauty’ (below) which is a burnt orange. 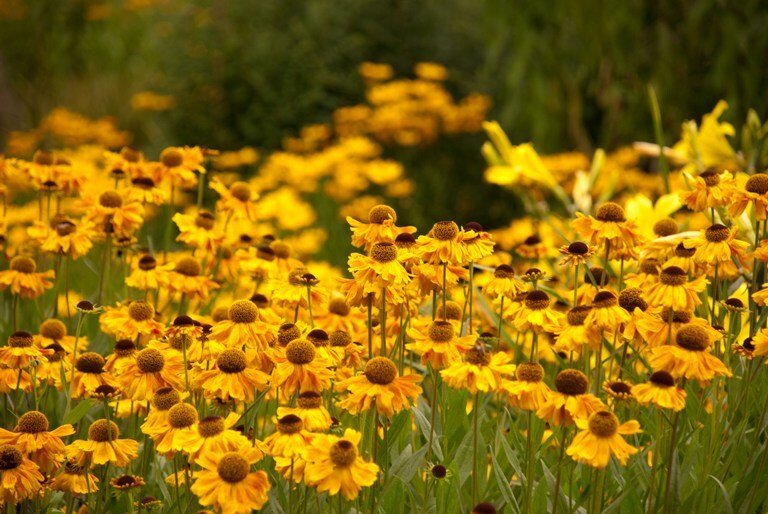 They look particularly good when planted in large swathes and in contrast with something like Achillea ‘Cloth of Gold’ which has wonderful large saucer-like clusters of flowers. One of my favourite perennials as they start flowering in early-mid summer and go on flowering until the end. 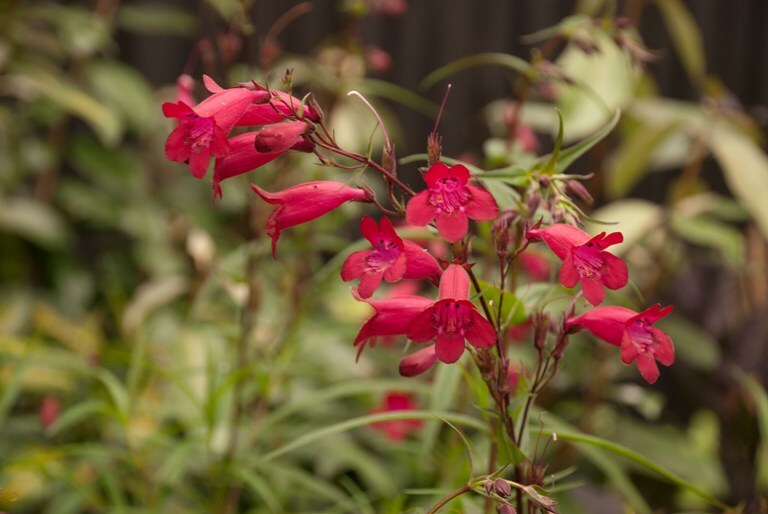 One of the best is Penstemon ‘Garnet’ which flowers forever, as late as October sometimes. Most have semi-evergreen foliage too so they provide some interest in the winter when other perennials have long since disappeared. 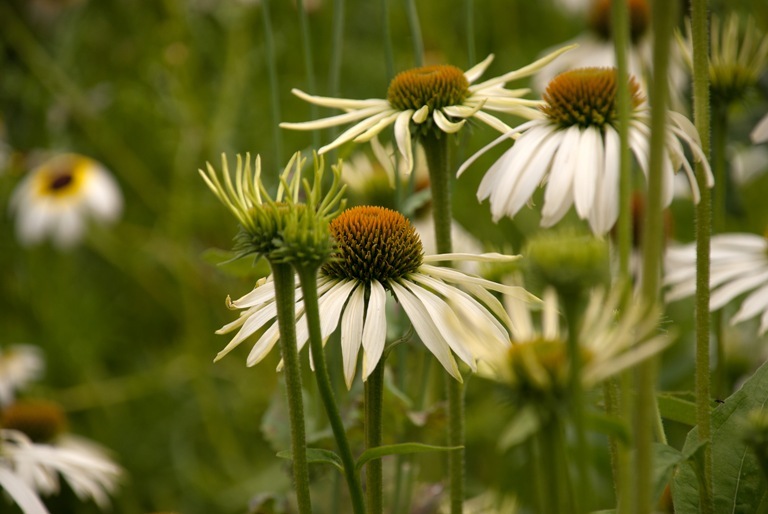 Known as the Cone Flower because of its shape and form. 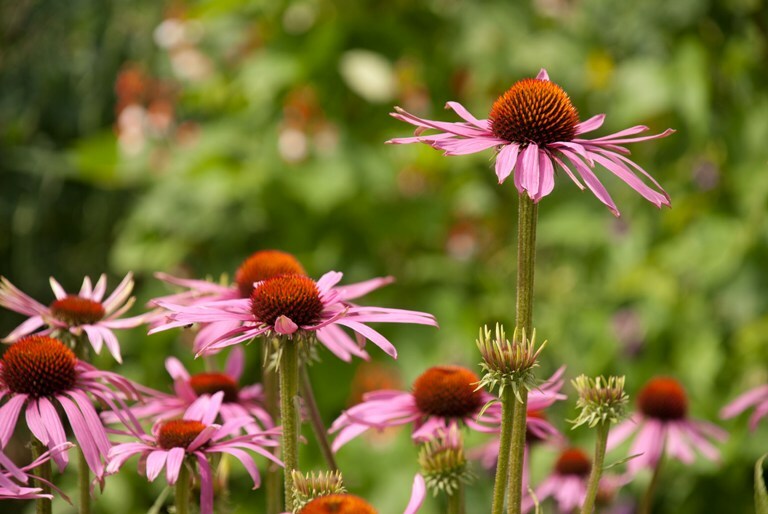 Echinacea purpurea is the most common variety but there are many others available too. I took this picture in the White Garden at Loseley Park when I was last there. They too look wonderful planted in large groups. 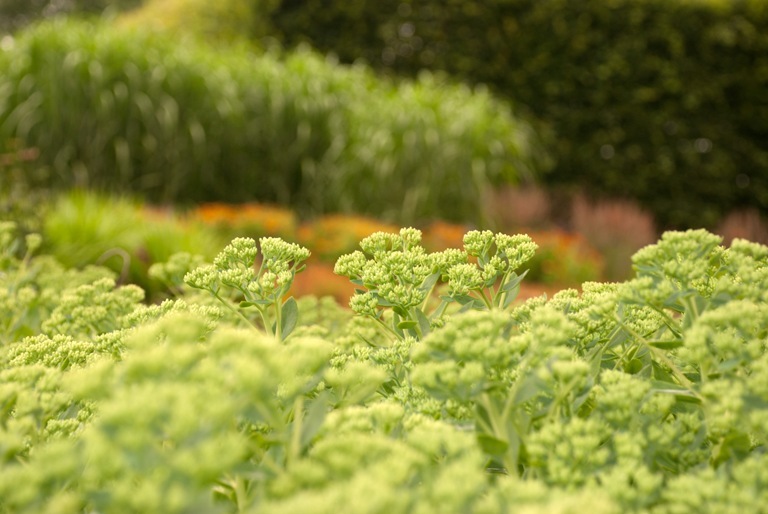 Try planting with miscanthus – they contrast brilliantly with the soft wavy foliage and, like heleniums, they also work well with saucer-shaped flowers like achillea and sedum. Not everyone’s favourite but they do look fabulous when planted en masse. 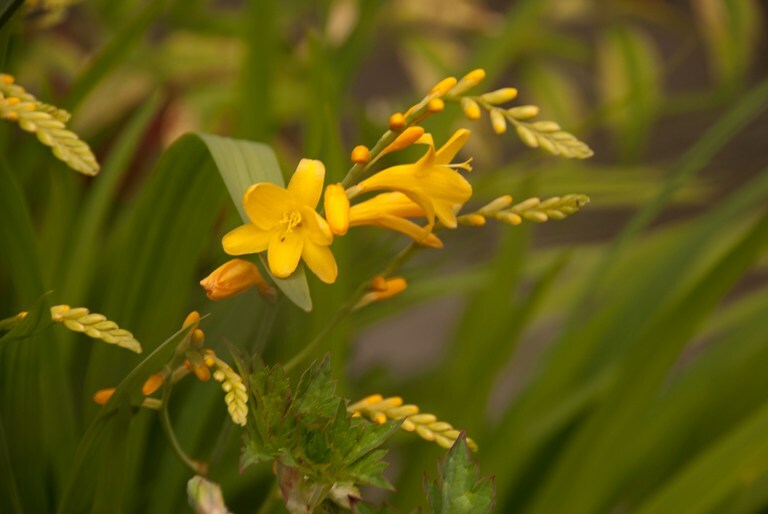 Colours range from yellow through to orange and vibrant red like the Crocosmia ‘Lucifer’ below. 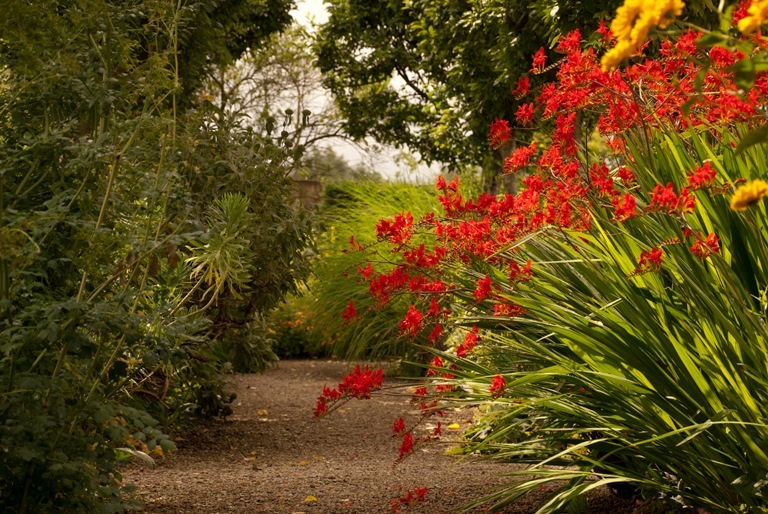 They look great planted next to a pathway as they are here, the arching stems softening the whole look. Unlike many summer-flowering perennials, they do tolerate a bit of shade which provides opportunity for rhythmic planting. Asters seems to be a love or hate plant. When I am taking the brief for a planting design I normally discover very quickly whether or not they will be allowed in the garden. 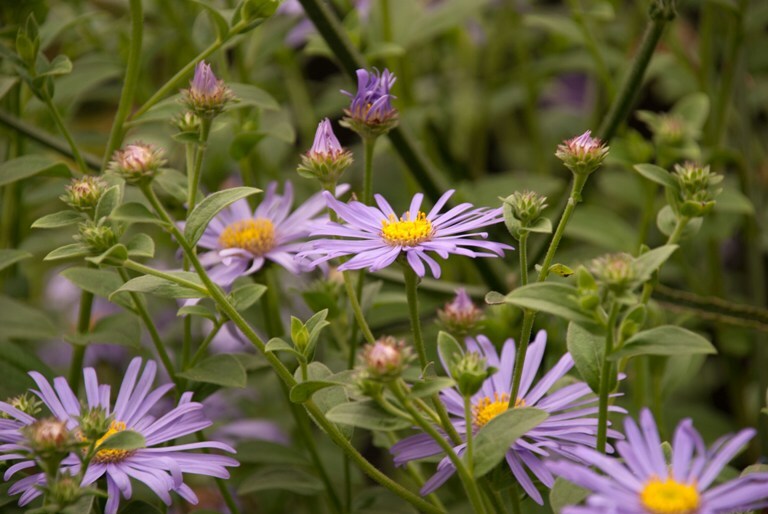 Aster frikartii ‘Monch’ is a really good addition to any border – it starts flowering in August and goes on right until Autumn, almost until the first frosts come. For the best show of flowers, they do need full sun, but I have some planted in a bed which is shady for half the day and although they’re not as tall, they flower just as well. One of the latest herbaceous perennials to flower, but they still add interest from the moment they start to emerge with fresh clumps of young shoots. This picture was taken a couple weeks ago at Savill Garden and although the flowers have not yet emerged, they still look great. When the flowers of this Sedum ‘Autumn Joy’ finally appear in a few weeks time, they will be a deep pink colour which will eventually fade as the flowers finish. As an added bonus, the seed heads can be left through the winter as they keep their form and look fabulous with the frost on them.